What’s better than camp all year long? Students may complain that religious school can never be as much fun as camp, but one of the ways that you can bring camp into their week-to-week religious school experience is to utilize space differently. Utilizing camp-like out-of-the-box programming is one way for students to feel like religious school is an experience, instead of another school session during their busy week. One of the best parts of camp programming is that kids know that they won’t always be sitting in a room. 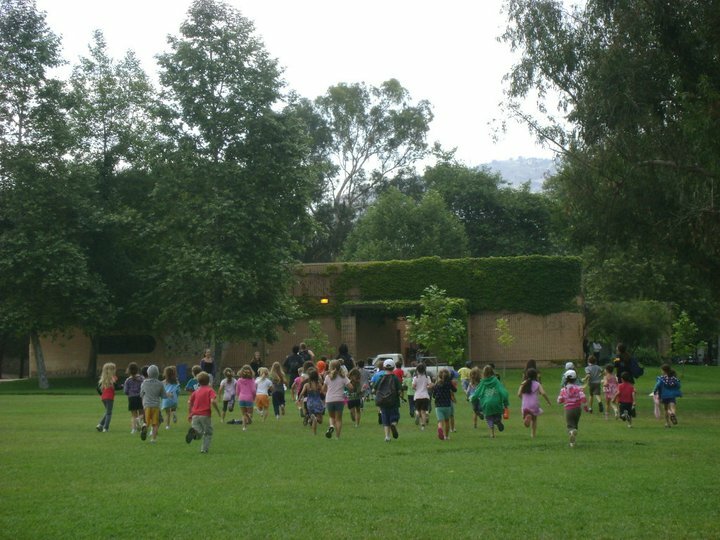 Camp programming takes place on fields, on dance pavilions, on tennis courts, in nature, and so many other places. While we don’t always have mountains or large fields available to us at religious school, there are spaces in a school that can bring that same sense of experiential education to your students. Inside the classroom, use every part of the space. Sometimes just getting on the floor and moving around to different corners of the room can make the topic more experiential and hands-on. For any program involving prayer, bring students into the sanctuary or chapel to run the program amongst the seats or the bimah. This placement will begin to connect them to that space so that when they do come to services, they know that they belong in the space and have a personal connection to it. For history programs involving a timeline, bring students to the social hall, or outside, and create a giant version with large event pieces that they can manipulate comfortably. When it comes to large manipulatives, remember that you can reach out to your Fellow about bringing things like our human board game, giant Jenga®, or the Linda Pinkus Memorial Labyrinth on their next visit! If you are doing a program about Israeli or Jewish environmentalism, host class outside. While learning outside might seem distracting, breaking students into groups and bringing in parent volunteers can make the learning focused and experiential. If you don’t have outside spaces at your congregation, see if you can go to a nearby park for part of the class. Going to a park can also be a great opportunity for a class family picnic after school since it can reinforce the community aspect of religious school and show the kids that they can maintain relationships outside of their class’s four walls. No matter the space you have available, reach out to your Fellow to brainstorm some camp-like programming!